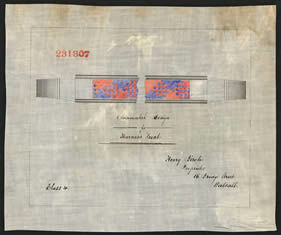 Ornamental Design for Harness Front. Class 4. Henry Birch. Proprietor, 16 Bridge Street, Walsall.